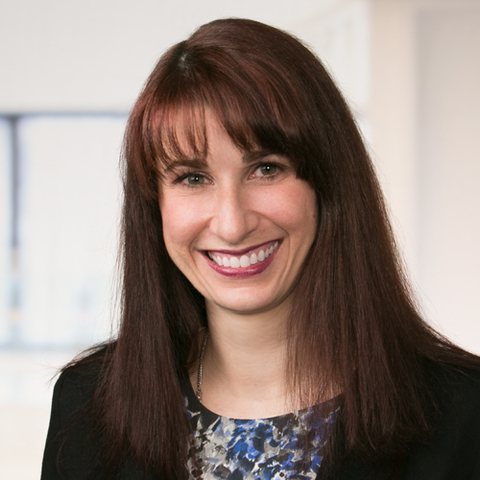 (PRLEAP.COM) On Wednesday, March 27th, the International Lawyers Network announced that Director of Global Relationship Management, Lindsay Griffiths, was recognized as a JD Supra Top Author, selected from among thousands of authors published in 2018, for the level of visibility and engagement she attained with readers on the topic of marketing & business development: https://spotlight.jdsupra.com/readerschoice/list/78. JD Supra's Readers Choice Awards acknowledge top authors and firms for their thought leadership in key topics. ILN members, Patricia Wagner and E. John Steren of Epstein Becker & Green, were also recognized as top authors in Antitrust & Trade Regulation: https://spotlight.jdsupra.com/readerschoice/list/56. JD Supra's Readers Choice Awards - The Readers' Choice Awards recognize top authors and firms who were read by C-suite executives, in-house counsel, media, and other professionals across the JD Supra platform during 2018. Methodology - As the name of suggests, the Readers' Choice Awards reflect a deep dive into JD Supra's 2018 reader data, in which they studied total visibility and engagement among readers across many industries interested in certain defining topics of the day. JD Supra editors chose the 26 main topics covered in this year's Readers' Choice Awards for their timeliness as well as their proven, ongoing importance. In each category, they recognize ten authors and one firm for consistently highest readership and engagement within that category for all of 2018. In total, across all categories, they recognized the excellence and achievement of 228 authors selected from over 50,000 who publish their excellent work on their platform. Year to year, Readers' Choice Award categories may change or be expanded to include additional industries or topics. Lindsay Griffiths is the International Lawyers Network's Director of Global Relationship Management. In this capacity, Ms. Griffiths works closely with the Network's Executive Director on the oversight and management of day-to-day operations of the (ILN). She develops strategies and implementation plans to achieve the ILN's goals, and shares responsibility with the Executive Director for recruitment, member retention, and a high level of service to members. She is engaged in the legal industry to stay on top of trends, both in law firms and law firm networks. During her tenure, the ILN has been shortlisted as a Global Law Firm Network of the Year by The Lawyer for 2016 and 2017, and included as a Chambers & Partners Leading Law Firm Network since 2011. She was awarded "Thought Leader of the Year" by the Legal Marketing Association's New York chapter in 2014 for her substantive contributions to the industry, included in Clio's list for "34 People in Legal You Should Follow on Twitter," and was recently chosen as one of the ABA Journal's Web 100 for 2018. Ms. Griffiths has been the author of Zen & the Art of Legal Networking since February of 2009.